Harrah’s Resort SoCal had been operating under the strategy of Fun Made Funner. The creative team was tasked with creating unique OOH executions based off of that particular strategy. Instead of just delivering ideas based on the brief, the team took it a step further. Creatively, the team wanted to not only deliver on killer billboards, but to create a whole new place. A place that could encompass the brand’s beliefs and way of living. A place where your wildest dreams dream. A place where majestic waterfalls tumble into the warm water of a lazy river. A place called Funner, California. In addition to renaming the land, the team had to find a way to make everything about Funner…well, Funner. One of the key parts of the creative was leveraging customer reviews of Harrah’s Resort SoCal from social media. What’s fun about that, right? Well, when you take real reviews from real people and reinterpret them in Funner ways, then you have something memorable. After the long, stressful process of ideating scenarios, a Telenovela concept rose to the top quickly. 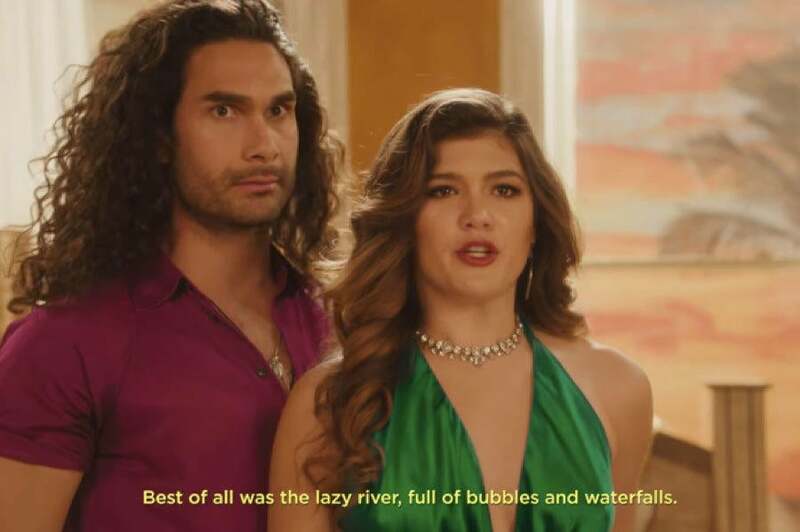 The team knew there could be something very interesting about doing a cheesy, over-the-top soap opera about the lazy river using actors who delivered the script in Spanish. This particular concept needed great attention to scene development, casting, wardrobe, on set art direction, camera moves, along with amazing leadership and collaboration from our director. Honestly, after take one on set we knew we had something special. Highlights that really stick out are the ridiculous hair flip, the dramatic push-in on the goldfish, and of course the outlandish slap scene at the end of the spot. All of this would not have happened without the courage of the creative team, the client, and the production company. It was a huge group effort and I’m almost positive that everyone had a good time along the way. Colorist: Ricky Gausis, MPC Sr.